Over the holidays, Mazda decided to spread some cheer across Japan with the release of a new generation of the Mazda Carol (“song of joy”). However, because the model doesn’t follow the KODO Soul of Motion design theme paraded by the automaker in all its other redesigned models, critics are finding little to sing about. The newest Mazda Carol essentially does what it’s supposed to do. Favoring bare-bones practicality, the model opts for entry-level features like keyless entry and 2-speaker audio, resulting in an underwhelming exterior design. Arguably, it looks even boxier than the 2010 release did. 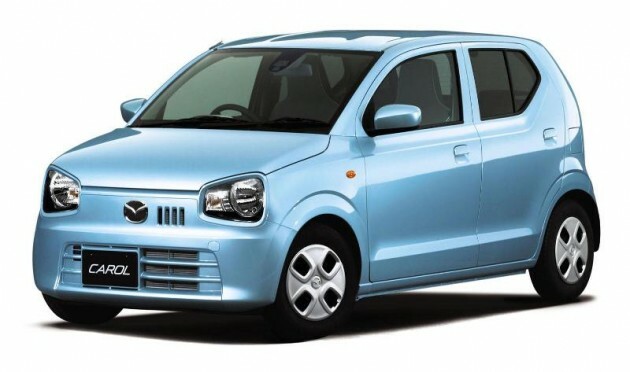 The reason that Mazda didn’t employ its graceful, majestic KODO design language on the Carol is because the vehicle has been, for most of its existence, produced for Mazda by Suzuki off the Suzuki Alto (ironically, also a musical term) platform, which it continues to follow. Thus, the automaker has little flexibility in the design construction of the Carol. Admittedly, the Mazda Carol might not be a work of art, but it’s not as bad as its critics are claiming. We’ve seen plenty of other models feature the same boxy design. In truth, the complaints are just evidence of the high design standard we hold Mazda to. Perhaps critics are also jealous of the 63.9 mpg efficiency and $7,000 price tag it boasts. While we won’t ever see the Mazda Carol released in the United States, it’s a solid reminder of the benefit KODO has been to the automaker’s appeal.